Editor’s Introduction: Somewhere along the line, in this age of aggiornamento (renewal), a good many priests and bishops allowed themselves to be derailed from pursuing the primary objective of their vocations – the salvation of souls. Shepherds too often prefer socializing with their flock rather than nourishing them with sound doctrine, good example, and pious exhortation. “Well,” we hear it said all the time, “our priests are only human you know,” as if we needed to be enlightened on that point. I think everyone agrees, even us frustrated sticklers to tradition, that our white-collared levites are not impeccable. We know they really are human, although certain dear mothers who gave us our priests might not like to admit it. But we lay folk seem to have an easier time loving God when we see our clergy living as though they were “superhuman,” – which is nothing more than living holily. The following story is of just such a priest, not a canonized saint, at least yet, but just one of those good old fashioned “superhuman” guys, whose hands we used to kiss with awe and reverence. This is the story of Father Demetrius Gallitzin, a Russian nobleman and convert, who became the great Apostle of the Alleghenies in the early days of our country. The life of Demetrius Augustine Gallitzin is an edifying one indeed. He was born at The Hague on December 22, 1770, of noble lineage, which would immediately presage an illustrious future for the newborn prince, heir to wealth and nobility. Demetrius’ father, Prince Alexander Gallitzin, was, at the time, the Russian ambassador to Holland. Just prior to this appointment he had been entrusted with the same office at the embassy if Paris. While there, he established intimate relations with the philosophers of Freemasonry, Voltaire and Diderot. Demetrius’ mother, the Princess Amelia, born of a great German family, was the daughter of Countess Ruffert and Marshall Count Schmettau, who was particularly favored by Frederick the Great. She was brought up a pious Catholic, but at the impressionable age of nine her faith was lost through the teachings of an infidel tutor. Her marriage to Prince Alexander helped only to plunge her further into the abyss of atheism, so dazzlingly proclaimed by her husband’s evil mentors in Paris. These influences on Demetrius’ father proved almost fatal to our future missionary. Raised in prejudice, he was shielded from every religious influence to the point of actually despising anything having to do with the teachings of Jesus Christ. What a refreshing thing to read about! Here is a young man of great wealth and dignity, who had been taught throughout his entire life the perverted doctrines of sophists and infidels. Not one of his male acquaintances, “without exception,” was a Catholic. Yet upon “impartial inquiry” he knew that, in order to attain salvation, he would have to be a member of the Catholic Church. How many liberal theologians and priests, after years of study, still cannot, or refuse, to see this foundational truth? His conversion, however, did not keep Demetrius from entering upon the military career his father had long desired for him. In 1792, at the height of the French Revolution, he became the aide-de-camp to the Austrian general, Van Lilien. But the assassination of the King of Sweden (no doubt the work of the conspiratorial Jacobins), and the sudden death of the Emperor Leopold forced Austria and Prussia to exclude all foreigners from service in their armies. Being one of the many soldiers dismissed, he was advised by his father to continue his studies abroad in the United States. Little did Demetrius realize that his life as an apostle in the Church he once despised was about to commence. He arrived in America with a German priest for his tutor, only to discover that his newly adopted country was desperately impoverished in regard to the Catholic Faith. It was amid this spiritual destitution that the young Prince Gallitzin would yearn to play an active role in God’s divine plan. Soon, with the encouragement of Archbishop Carroll, the first Bishop of Baltimore, he entered the recently founded Sulpician Seminary in that city. 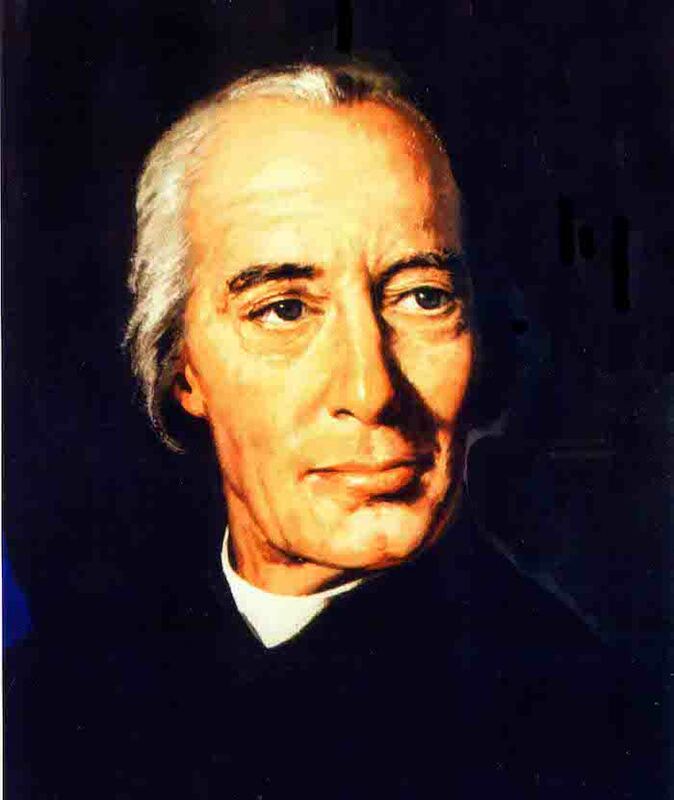 He advanced rapidly in piety and ecclesiastical learning, and on March 18, 1795, at the hands of Archbishop Carroll, became the second priest to be ordained in America, and the first to receive all degrees of Holy Orders in this country. After his ordination, the Reverend Mr. Smith, (as Father Gallitzin, in humility, chose to call himself) wished to remain in the studious and contemplative atmosphere of the Seminary at Baltimore, as a member of that congregation, but this was not to be. Although the Archbishop granted him permission to remain in the Order of Saint Sulpice, Father Gallitzin would soon realize that the newly acquired duties laid upon him, of necessity, by the Archbishop were incompatible with the life of a Sulpician. He regretfully separated himself from a society that he had profoundly venerated. In the spring of 1796 Bishop Carroll received a message from a Mrs. Burgoon, a member of the Maguire settlement, which is now in Loretto, Pennsylvania. The message asked that a priest be sent to give instructions to this dying woman who desperately wanted to become a Catholic. Bishop Carroll wasted no time in sending Father Gallitzin to her bedside. It was here, in the Allegheny wilderness, that the zealous missionary foresaw a flourishing Catholic colony springing up apart from the stern Protestantism of the large cities. Upon returning to Baltimore, Father Gallitzin sought permission from the Archbishop to become permanently assigned to the thinly settled Catholic population of western Pennsylvania. Bishop Carroll readily granted permission in the hope that Father Gallitzin would build up a four-hundred-acre tract of land bequeathed to the Archdiocese by the distinguished Revolutionary War captain, Michael Maguire. The venerated Bishop’s hopes were not in vain. His humility and charity served him well, but these were not to be outweighed by his strict orthodoxy. With great dialectical skill he would preach passionately from the pulpit the necessity for Protestants to recant their beliefs lest they suffer the everlasting fire. He did not ask for any interfaith dialogue; rather he demanded – with a fortitude that is severely lacking in today’s clergy – total conversion to the One Holy Catholic and Apostolic Church in order to please God. He composed several skillfully written works which were aimed at the errors of Protestantism. So popular were these works that they were translated into French, German, and Italian and were widely spread throughout Europe. “As we had gone a couple of miles through the woods, I caught sight of a sled drawn by a pair of vigorous horses, and in the sled a half-recumbent traveler. . . It occurred to me that some accident had happened to this gentleman, and that he was compelled to this singular mode of conveyance. The fall mentioned in Father Lemcke’s account was believed to have been the eventual cause of Father Gallitizin’s death. In that fall he suffered a double hernia, which caused him tremendous suffering until he died four years later, on May 6th, Easter Sunday, 1840, exhausted by the excessive fatigue of hearing confessions and performing the ceremonies of Holy Week. His holy death ended an apostolate of forty-one years, and where, at his arrival, only a dozen Catholics were to be found, there now resided over ten thousand. It is to the detriment of the Catholics of this county, not to say of the whole world, that they know so little of this princely missionary and his work. Despite the destructive course that the Masonic-Liberal contingency has taken in our beloved Church, the holy works of Father Demetrius Gallitzin remain intact. The little town of Loretto, Pennsylvania, which he founded, continues to be one of the most Catholic towns in America, as evinced by its ten Catholic Churches and three monasteries. If only we could instill his zeal into the Church today, our country would be flourishing with the Faith, and the Catholic country that Father Gallitzin envisioned would be a reality.